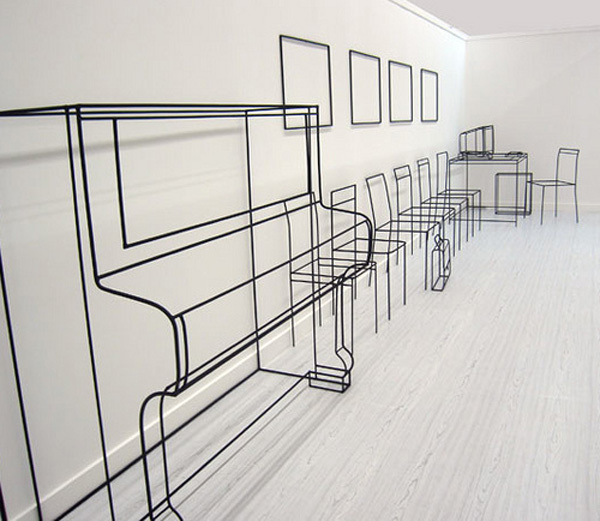 Russian artist Anya Zholud creates minimalist wire sculptures that appear almost as 3-dimensional line drawings. 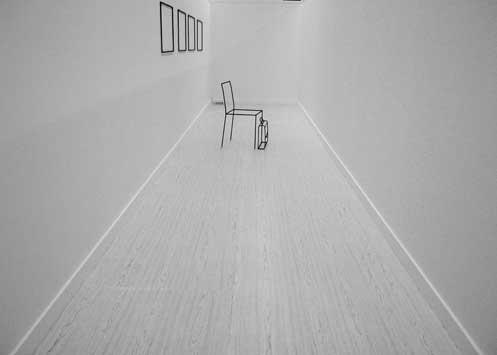 Their simple forms and often ‘interiors’ setup offer a back-to-basics and paring down view in the present world of excess. Proper lifestyles without luxuries. I especially like the dramatic effect these have when placed in the starkness of a white or black gallery room, in the contrasting color of the sculpture. Photos Aidan Gallery and oborte’s flickr.